Here is the Best Gucci Watches Review verified by Top Rated User Reviews. 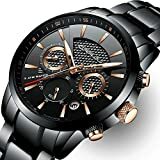 WatchiWatches presents the latest and Best Gucci Watches Reviews with Top Rated User Reviews for the latest top and best Selling Gucci Watches in the Luxury Watch Brands and fashion watches categories. Gucci watches seem to be popular with people who appreciate that Gucci is a high-end designer brand name. They might like the unique design and styling of Gucci watches where, no doubt much time and money has been spent to produce truly eye-catching designs. These kind of people know very little about watchmaking and what makes a good watch. In fact they probably know absolutely nothing about watches. 2 What type of people buy Gucci Watches? 3 What price range are Gucci Watches? 4 How are Gucci Watches made? 6 What do people think about Gucci Watches? 7 What’s the Warranty for Gucci Watches? The House of Gucci was founded in Florence in 1906 by Guccio Gucci, the son of an Italian saddler and trader. Guccio being an outstanding craftsman and due to his early successes in the roaring 1920s, started selling luxury goods. As his lucky streak continued he opened a boutique in 1938 in Rome. After the demise of Guccio in 1953, his son Aldo took over the family business and proceeded to open more boutique shops. Aldo opened his first Gucci store in New York in 1953 and by the late 1960s, Gucci shops started popping up in London, Paris and Tokyo. The success of the Gucci brand continued as it became known as one of the leading luxury goods brands through up and around the late 1970s. Thereafter due to a number of catastrophic business decisions the company’s financial health was devastated. This left the company facing a possible bankruptcy unless drastic changes were made. After restructuring the Gucci Group, and in an attempt to regain past glory, Gucci re-entered the luxury fashion watch market in the mid 1990’s to try to regain its leading position in the world of fashion. In 1997 Gucci produced a new collection of watches with the help of a Swiss based manufacturing company. This new watch collection was based on top quality, Swiss precision and outstanding Gucci styling. This was the recipe for Gucci to stage a fighting comeback into the spotlight once again. Cotemporaneously in 1997, Gucci managed put together a buyout of the ‘Severin Montres Group’ a world class manufacturer and distributor of watches. Gucci proceeded not only to design their watches but took some bold steps with a number of further mergers and acquisitions in 1999. The aquistion frenzy culminated with the purchase of Yves Saint Laurent Couture, Sanofi Beaute as well as a 70% share of Sergio Rossi. This strategic set-up consolidated the distribution potential of the Gucci Group with a now ready made distribution network to launch the new wave of Gucci watches. Shortly thereafter in 2000 the Gucci Group proceeded to groom the ripe and ready distribution network by securing the purchase of the Boucheron International group. That was a master stroke which secured the license rights to produce and distribute Yves Saint Laurent Couture watches. 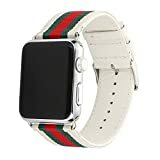 What type of people buy Gucci Watches? Gucci watches are a well known designer watches brand reknowned for their distinctive design and styling. Basically they are luxury fashion watches or if you like expensive fashion watches, predominantly bought by fashion conscious men and women. This type of watch buyer loves the design element of the watches as well as the “alter persona” associated with the brand. Usually such people don’t know much about the incorporating watch movement nor the full functionality of the watch. These type of fashion watches are marketed to overwhelmingly young fashionable people who are easily impressed. What price range are Gucci Watches? As Gucci watches are luxury priced fashion watches you will be paying over the odds to get the perceived benefits from buying a Gucci watch. Yes we too can totally understand the pyshology of a person who spends a huge amount of money on a beautifully crafted, hand finished, and mechanical engineering piece of art. With all due respect the point is we are wondering how it can be justified to spend from around $900 to $1,200 on a quartz watch with a cased red, white, and green nylon strap? How are Gucci Watches made? The Gucci Group manufactures their watches using the finest and solid materials like stainless steel, soft silver, gold, diamond and unblemished sapphire crystal. These watches come with fine Swiss quartz or self perpetuating movements. Each designer watch produced by Gucci reflects meticulous Swiss craftsmanship in every detail. Gucci’s designer watches, both exciting and seductive have swarmed the market with their unique style and manufacturing. Gucci have partnered with UNICEF to support the education, healthcare, protection and clean water programs for orphans and children affected by HIV/AIDS in Africa. This collaboration started in 2005 and since then they have donated over $8 million give Gucci the status of the largest corporate donor for the “School for Africa” campaign by UNICEF. 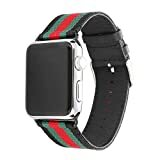 What do people think about Gucci Watches? 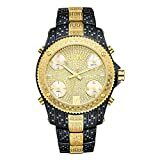 In order to find out what Gucci watch buyers have to say about Gucci watches please click the Product “Star Ratings” image in the product boxes below to view a list of “bought and worn it” Gucci customers. There are a lot of mixed signals on various watch forums which you can also see what watch enthusiasts have to say about Gucci watches on this style forum as well as this forum and here and here also. Last one here please. At the end of this page and in the pros and cons we have at the summarised our opinion for you to also take into consideration before purchasing you new favourite Gucci watch. What’s the Warranty for Gucci Watches? Save your favourite Gucci watches to the shopping cart to buy whenever you are ready. So there we have it with the latest and best Gucci Watch Reviews featuring top rated reviews for the best Gucci watches with the lowest prices online, often with FREE shipping (click the “Prime” logo for t&c). easily choose and save your new Gucci watch to the shopping cart by clicking through the lowest price product links. The highly fashionable Gucci Watches are a nice glitz and glamour fashion accessory to take with you wherever you go. Take a look at our individual product featured reviews inorder to get a more in depth appreciation of each product specification as well as our own full product review and analysis. 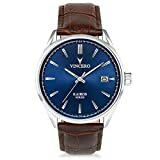 In addition to really cool watches by Gucci Watches why not consider comparing with peer group Top 10 Watch Brands in the fashion watches niche? Try our WatchiWatches Compare watch brands category on the main menu. In times when the big Boyz cannot afford to make a mistake as the stakes are simply just too high, turf war has broken out as every brand is fighting tooth and nail to secure and consolidate its position with their own signature style and design. Whoever falls from grace gets schlucked up and absorbed by the others who consequently get bigger and bigger. A good example of this is the Fossil Group amongst others. Inevitably as economies of scale persist to overwhelm with its own reason and technology continues to make leaps and bounds of gains, the real art of watchmaking is slowly dying out.